This month we feature Chris Serra, PRO Expo’s Client Services Manager. You can find our beloved team member, Chris, working hard managing the day to day operations of our 20,000 sq ft warehouse facility. 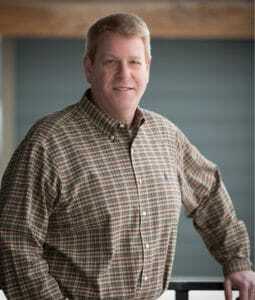 Chris’s true specialty lies in coordinating and managing the shipping and logistics of all of our clients assets. 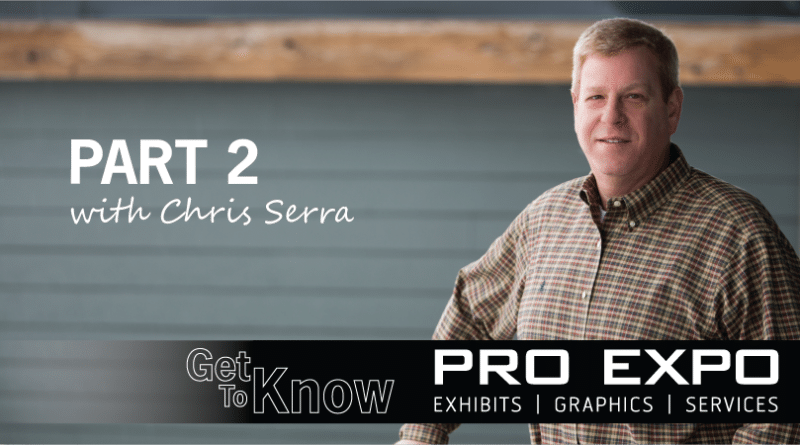 Check out what Chris does when he’s not busy running the PRO Expo warehouse. Since I’m no good at golf, I decided to get into barbecuing several years back. My brother and I have a BBQ team known as the Bushwood Smokers Club. We compete in several local St. Louis BBQ Society events in the Metro area. We have a few ribbons and even fewer trophies, but we have a lot of fun barbecuing with the team and having friends come out and enjoy our BBQ. After working for a leading trade show graphics manufacturer/wholesaler for many years, I wanted to get into the retail or end-user customer side. 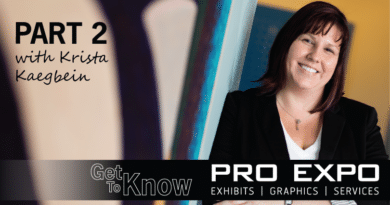 PRO Expo was a small start up and the prospect was enticing to me. 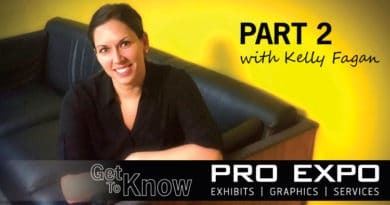 Taking my extensive experience in customer service, graphics production, quality control and logistics to PRO Expo was a great opportunity. I never really had a favorite color, but maybe I did and didn’t know it. I really liked the color of my brand new blue truck years ago, so I guess Blue! Star Wars Trilogy and #7 The Force Awakens. Looking forward to #8. I think my greatest strength is probably that I’m very detail oriented. In the trade show world, it’s all about the details. 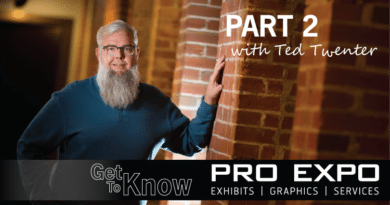 Whether it’s managing client assets or packing a booth to go out to a show, being detail oriented can make things turn out the way you planned. My biggest weakness relates to my greatest strength. Over analyzing, triple checking and second guessing can add undo stress and time to a job, but I am learning more and more to trust the tools and processes we have in place and know that they are proven and work. Be ready for something new everyday. That’s what keeps this industry exciting! Facebook is a good one to look and see what everyone is doing and posting. Um, Yeah, I’m not into social media much. I would own a BBQ store. The world of BBQ, whether the meats or the hardware used, is huge. Almost everyone BBQ’s and I think it would be great to have a store selling BBQ grills, smokers, rubs, sauces, BBQ accessories, competition grade meats and have classes on grilling, barbecuing and smoking all types of food. Grant me the serenity to accept the things I cannot change; courage to change the things I can; and wisdom to know the difference – Reinhold Niebuhr.